Today’s weekly petroleum balance sheet from the EIA reports that daily crude oil production last week through February 2 surged by 330,000 barrels from the previous week to establish a new weekly record high of 10.25 million barrels. The top chart [see link] also shows the remarkable and complete reversal in the 40-year decline in America’s crude oil output from 1970 to 2010 that has taken place in less than the last decade, thanks to the revolutionary twin drilling and extraction technologies of hydraulic fracturing and horizontal drilling. 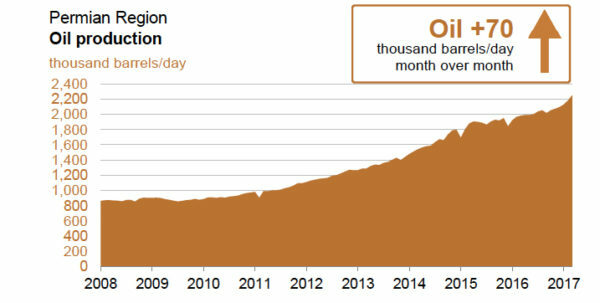 From only 5 million barrels per day in early 2010, the rebound in US oil production from the bonanza of shale oil accessed by technological marvels of engineering and scientific innovation brought daily domestic oil output above the 10 million barrel benchmark in November for the first time since 1970, and up to the new monthly record of 10.2 million barrels in January. For example, the bottom chart [see link] shows a Google Trends search interest history of the term “peak oil” back to 2004, which peaked back in September 2005 (and again in 2008) but started declining steadily, especially as the shale revolution turbocharged America’s oil production by reaching oil resources that were previously inaccessible with conventional drilling and extraction methods. The record high oil production this year further solidifies America’s new status as a world energy superpower in a new era of US energy abundance. Good news. 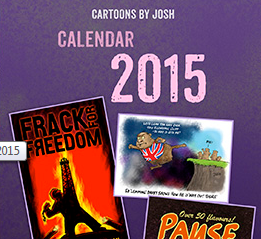 But, but, but …… peak oil? If Gilmer’s estimate of the real scope of Permian Basin oil is on target, it would represent a prize of somewhere between $25 – $100 trillion at current prices. The mid-point of that range is equal to more than 3 times the current U.S. federal debt, the low point of it is 40% more than total U.S. gross domestic product for 2016.